Last week the defense team for Joaquin Guzman, who is on trial for several charges including drug and murder conspiracy charges even if murder was not mentioned during the several weeks trial in a Brooklyn, New York Federal courtroom, came to an end. As always the government has two shots at brainwashing the jury; on Thursday, Assistant U.S. Attorney Amanda Liskamm tried to cover-up for Assistant U.S. Attorney Andrea Goldbarg, who had the task of discrediting Joaquin Guzman in open court in her closing argument on Wednesday. 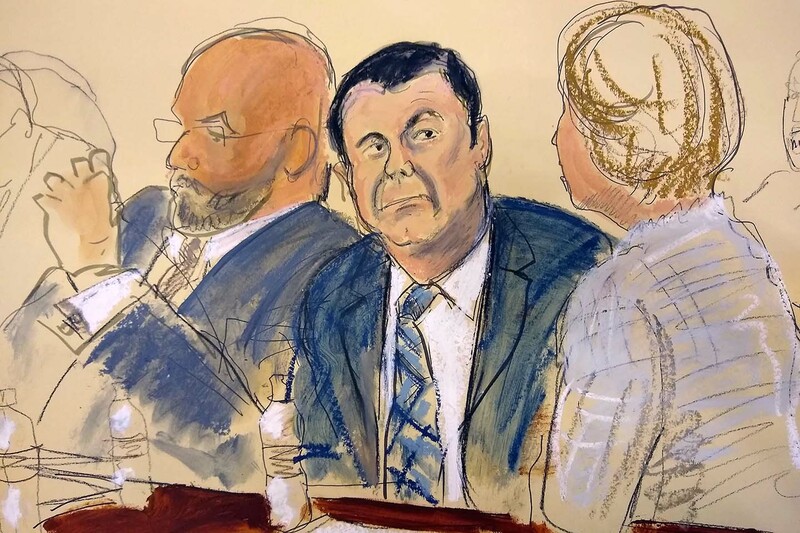 One of Guzmán’s defense team of attorneys, William Purpura, on cross-examination, had pushed for the possibility that Zambada Garcia could be the real head of the cartel rather than his client, who could be the cartel scapegoat. All testimonies from drug trafficking to bribing government officials, and ties to Drug Enforcement Administration (DEA) have not been connected directly to Joaquin Guzman Loera, but the judge presiding in the case, Judge Brian M. Cogan, no longer allows those “details” to be mentioned. million dollars” to Gabriel Regino — an underling of newly-elected president Andres Manuel Lopez Obrador. paid to the former Mexican President Enrique Peña Nieto. It is a fact that bribe is uselessly paid for protection, so why would anyone waste $100 million on a bribe so they can get arrested? It is a fact that most of the government victories in a courtroom are based on snitches’ testimonies and deals made by real criminals with the government to obtain a get-out-of jail free card and they are willing to say whatever the government orders them to say “under oath” nevertheless. It is not the first time that the government went from the most serious charge to a reduced charge of which they can get a conviction. How can that happen? Because the government wants to score a victory, a win, at any cost, regardless of their modus operandi or who may get hurt. Next story Detective Gordon Martines unexpected death may be or could be questionable.